U.S. markets and stock ETFs retreated Tuesday after another round of trade-induced selling set off in response to President Donald Trump’s tariff threats on European Union goods. On Tuesday, the Invesco QQQ Trust (NASDAQ: QQQ) was 0.3% lower, SPDR Dow Jones Industrial Average ETF (NYSEArca: DIA) dropped 0.7% and SPDR S&P 500 ETF (NYSEArca: SPY) was down 0.6%. The Trump administration released a list of tariffs on $11 billion worth of European goods, fueling market fears the move may represent a renewed hard-line approach to trade that could sideline a potential China trade deal in the foreseeable future, the Wall Street Journal reports. “The president feels he has few degrees of freedom left—trade and foreign policy are two of them and they’ll continue to dominate policy,” Marie Owens Thomsen, chief economist at Indosuez Wealth Management, told the WSJ. The sudden wrench in the works ended the S&P 500’s nine-day winning streak, one of the stock market’s strongest runs in years. The equities market has strengthened since January on optimism over a more accommodative Federal Reserve monetary policy and what appeared to be a resolution to the prolonged U.S.-China trade spate. 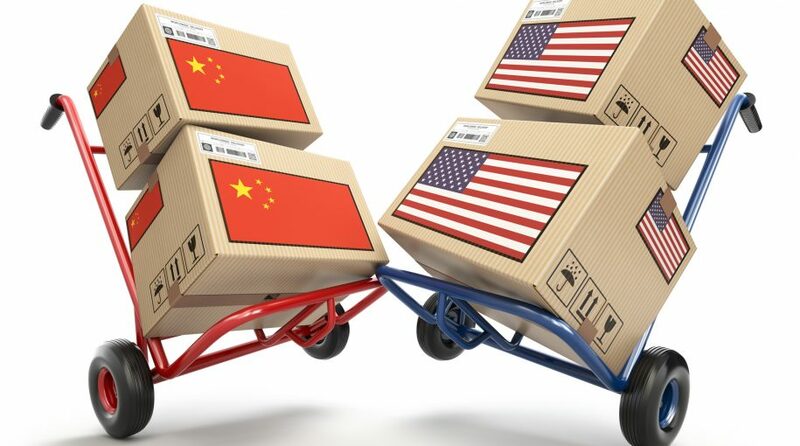 However, analysts warned that trade talks may continue to hang over the markets and contribute to ongoing volatility. Trade is a large part of global growth. The International Monetary Fund cut its world-wide economic growth projections for 2019 to 3.3% from 2.5% in January, partly due to “trade tensions and tariff hikes between the United States and China,” as well as a decline in business confidence and a tightening of financial conditions.